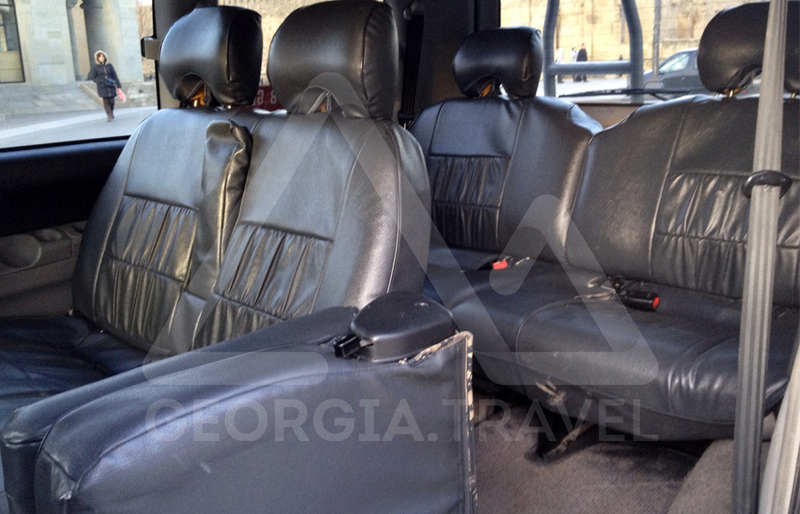 For long rides, adventure tours and comfortable airport transfers we present you a 7 seater minivan SUV. 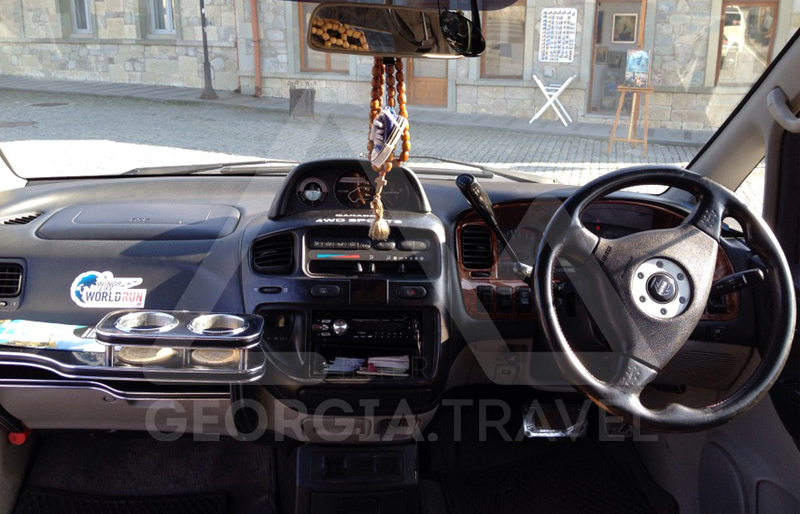 If travailing is your hobby and you are planning a road trip to the high mountain areas of Georgia, such as: Tusheti, Khevsureti, Khevi (Kazbegi), Racha and Svaneti. 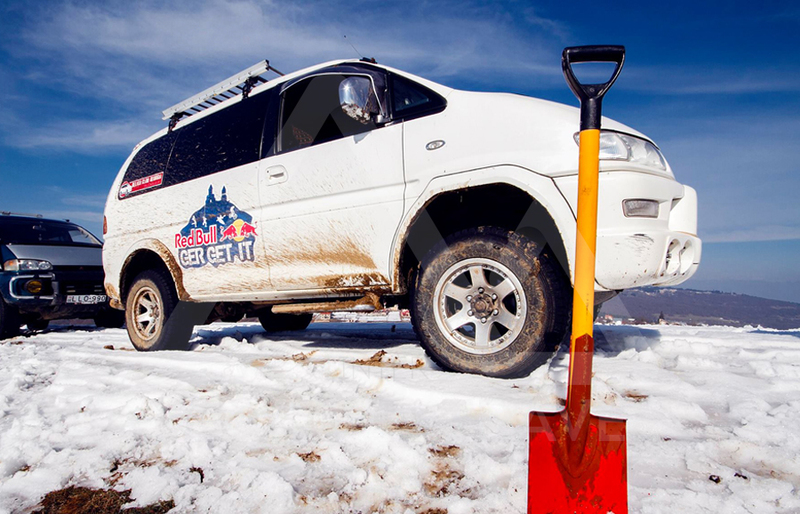 If you want to feel the adrenaline of off road driving than Mitsubishi Delica is the right choice. Our professional drivers will take care of your comfort and safety while you can enjoy the thrill of an amazing journey. 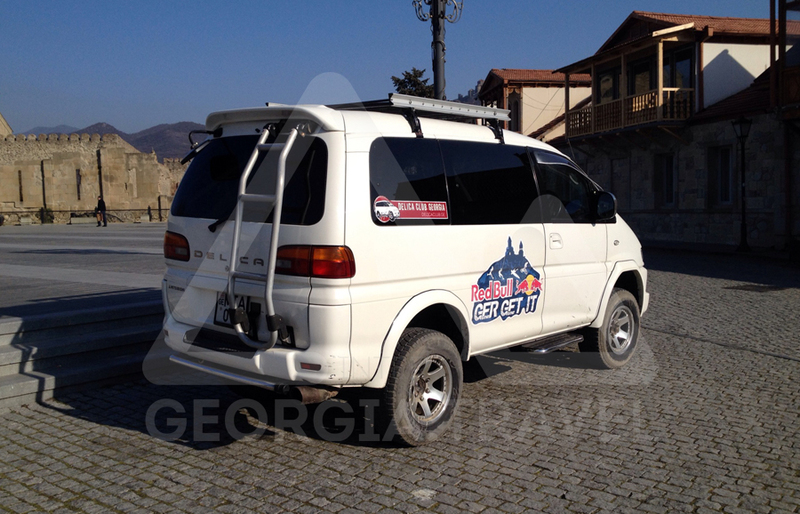 Our company has more than 12 types of vehicles, including Mitsubishi Delica 4X4. 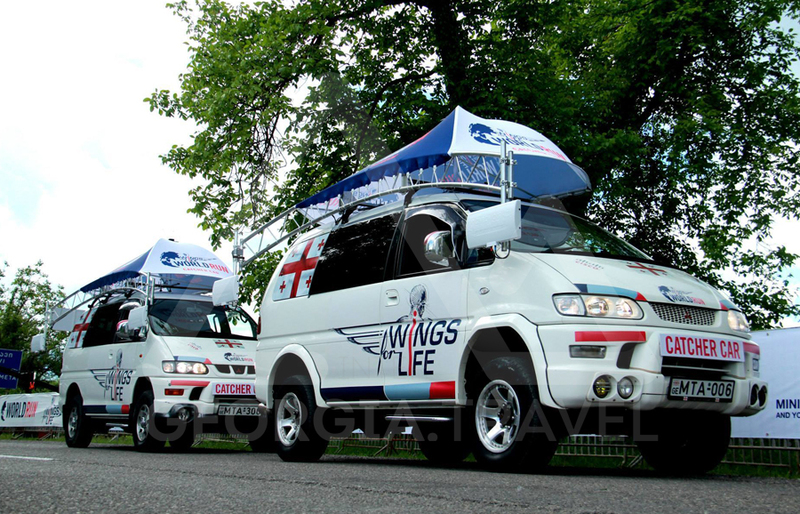 We are founders of “Mitsubishi Club Georgia” – and we are also official partners of “Red Bull” – our vehicles participated as catch cars in the “Wings for Life World Run” events in 2014 and 2015. Online Booking INTERGEORGIA.TRAVEL will supply you with online pricing, availability, instant online confirmation and billing, ensuring that all your travel details for your resort transfers, airport transfers and city transfers is available in minutes! 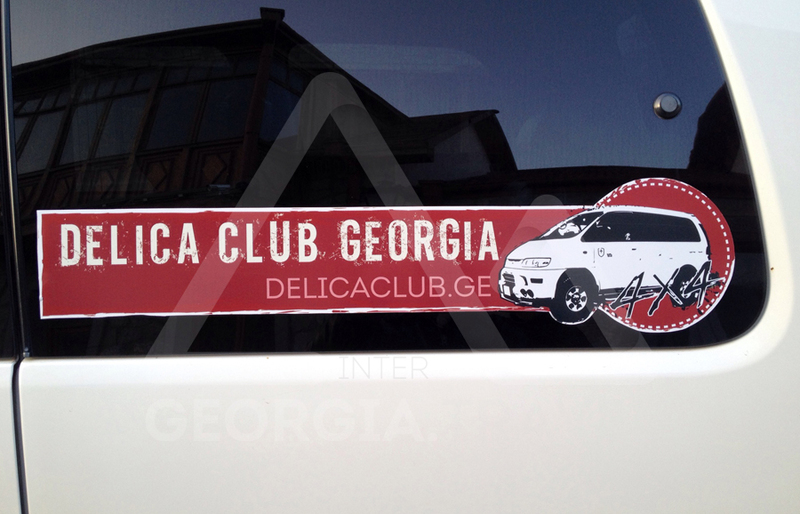 Company profile Welcome to INTERGEORGIA.TRAVEL number one for low cost transfers in Georgia! 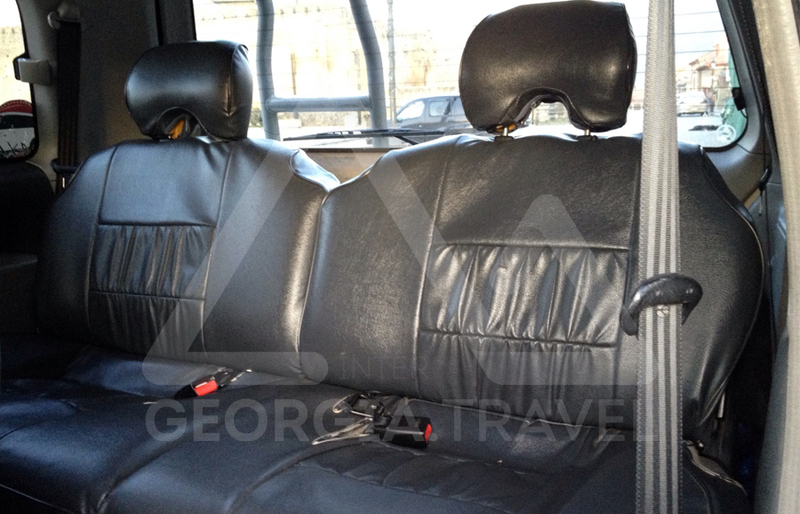 We offer airport transfers, resort transfers, city transfers, port transfers and ski transfers. Whether you need to get from airport to hotel or hotel to airport or a pick-up after your journey, we can help with any airport transfers to your resort or hotel via low cost shuttles, private taxis or alternative direct transfers. 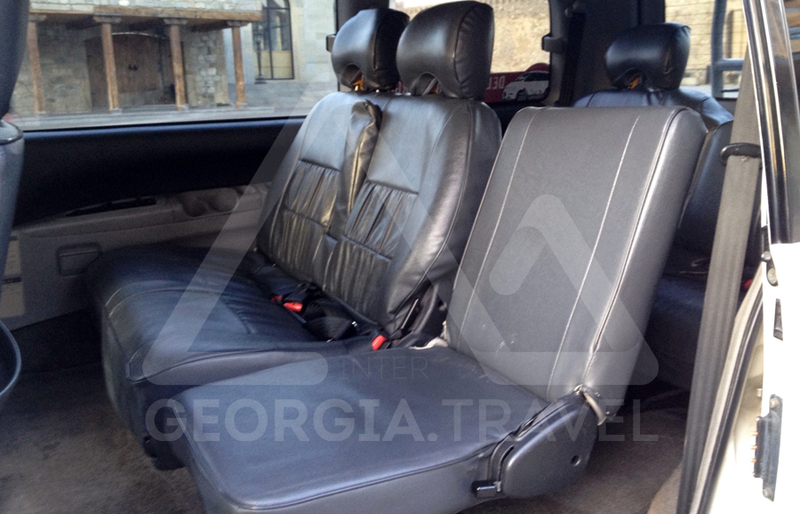 INTERGEORGIA.TRAVEL is Georgia's leading B2B supplier of airport transfers to the leisure industry, we offer a service tailored to your needs at wholesale rates. Our experienced staff are specialists in the needs of travel industry clients and our services are provides 24 hours a day, every day of the year. Our Fleet Our fleet offers a diverse range of vehicle types: saloon cars, vans, minibuses, Jeeps, coaches and chauffeur limousines. All vehicles are under 5 years old, well-maintained, fully insured, PCO or PCV licensed and driven by experienced professional drivers. Support Our offices are manned 24 hours to provide reservations and assistance supported by state of the art despatch and GPS tracking systems, we also supply a free-phone number for you so that you can contact us at any time, free of charge. Meet + Greet in arrival terminal. You travel in the comfort of your own private vehicle. 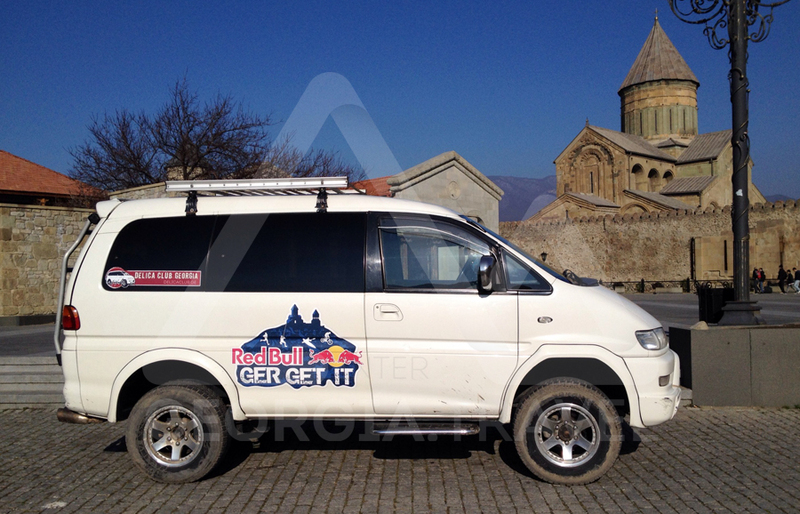 Servicing Tbilisi Airport and Kutaisi Airport to or from any Hotel in the centre of the city. Travel in a luxury vehicle. Complimentary water, daily newspapers and hand towels with every journey. For the price of a train journey you travel in comfort direct to the door of your hotel. A maximum of 4 stops before drop-off, (in most cases far less). Internet WiFi is available in all cars and is free of charge. Languages spoken Russian, English, German, Italian. No smoking Our drivers are not smoking in the car !! !